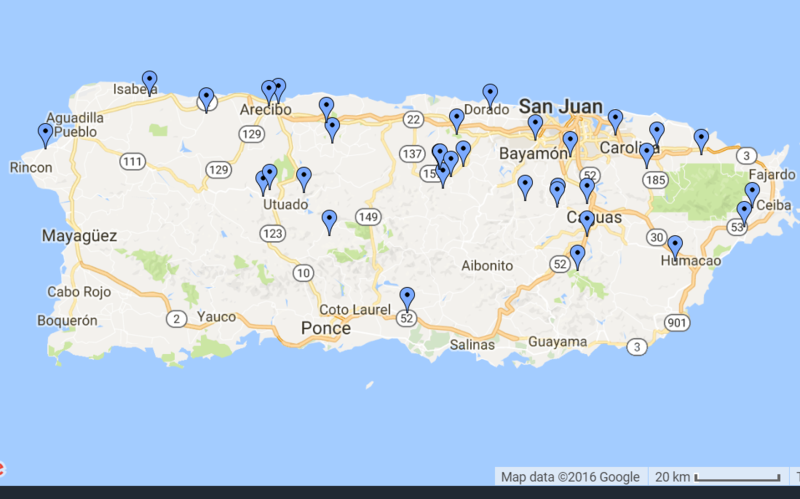 SAN JUAN, Puerto Rico (Nov. 17, 2016) — After a successful auction of Puerto Rican real estate in September, John Dixon & Associates is preparing an encore, with the December 3 auction of 39 properties on the island, including office buildings, homes, retail stores, land and other properties. The real estate is being sold by a U.S.-based Latin American and Caribbean focused private equity fund. Many of them will be of interest to investors as well as those seeking them for their own use, said John Dixon, president of the Atlanta, Georgia-based auction company. “The market in Puerto Rico reminds me a lot of where the United States was four or five years ago. That was a great buying opportunity in the States, and a great deal of money was made by those who were astute enough to acquire real estate then,” said Dixon. “We have a large number of properties throughout the northern half of Puerto Rico. We have at least a half dozen homes that would make good rental properties. We have one multi-family property, several office buildings, an 18-room hotel, and some retail stores, as well as one commercial property that was most recently a restaurant. The potential for profit or income from some of these properties is substantial,” said Dixon. The auction will begin at 11 a.m. AST at the Condado Plaza Hilton, 999 Ashford Avenue, San Juan, Puerto Rico, 00907. The auction, being conducted in cooperation with Christiansen Commercial Real Estate, will be streamed on the Internet, with online bidding available.